Ooh I want one! Yummy. Hope they tasted as good as they look! Looks like a baking masterpiece. 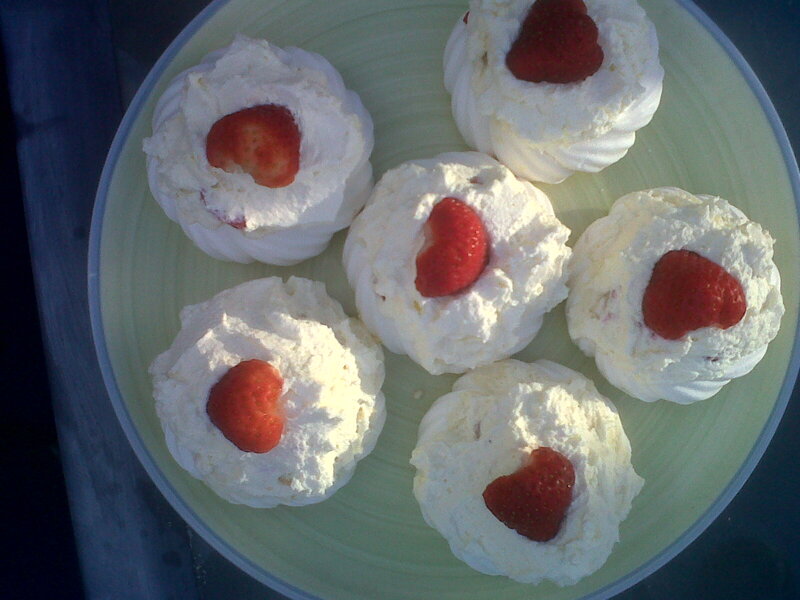 Yep, Eton Mess at it’s best – unfortunately I can’t take credit for them! Very pretty and tempting – love the way the strawberries look like hearts. Yum! My most favourite things! The perfect summer dessert, yum!